The recent blog post Redwood Forest Haiku, two versions, inspired by a photo my sister took in a Redwood Forest Park inspired other haiku. Norman Zierold suggested changing the last line to my second version to Guarding the Silence. Paul Stokstad sent two versions, the last one, i reminded him, required an extra syllable, which he added. It turned into a beautiful third haiku. If you are so motivated, leave your version in the Comment section. I signed up with Instagram so I could see the pictures my sister took on her vacation to Mendocino in Northern California. They drove north to Humboldt County to see the California Redwood Coast Park Forest. Among the beautiful photos she posted, this one of the Giant Redwoods, considered the largest trees in the world, inspired me to write this haiku. Here is that photo, and two haiku versions, for your enjoyment. See Being in Nature, a gift from a tree, with links to other tree poems. 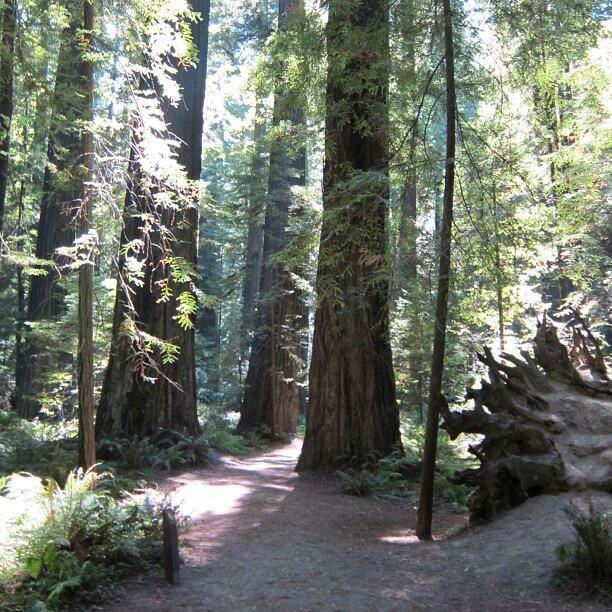 See Redwood forest photo and haiku inspire others.